The exchange resulted in an online petition which now stands at over 120,000 signatures demanding he be sacked. 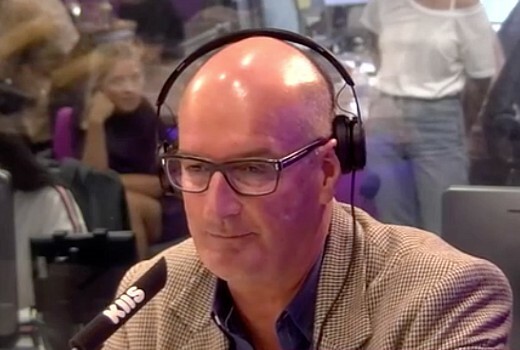 Koch , whose youth centre, Koch Centre for Youth and Learning is in Macquarie Fields, today told Kyle & Jackie O today it was Hanson’s comment that he didn’t know what was happening in Western Sydney that incensed him. But he also defended Hanson’s appearances on the Seven breakfast show. “I’ve had my kids take me on all the time, ‘Why give her a platform?’ And I said, ‘Because she represents a big part of our population’. the attacks in New Zealand happened because of people like Pauline Hanson, She like Don Trump uses hate and fear to get her message across. Hanson is a convicted criminal. she should not be allowed to represent any Australian let alone be allowed on TV. Not from what I have read. They happened because a boy lost his father, went to Europe and changed his outlook on the world, moved to New Zealand where they have appallingly lax gun laws and the rest is history. Koches comments seemed quite hateful. Odd counteracting hate with hate. Lets allow others to have different opinions to us. It was heated and passionate but which quote was hateful? Actually Kochie, you didn’t go hard enough & you should have done so years ago. Your kids are right. We should not be giving her a platform & she does not represent a large part of the population. Remember when interviewers did the job and asked the real question, rather than nodded along. If Koch did more real interviews like this one, I might respect him a bit more. Koch’s behavior was really poor. Why can’t there be a more respectful debate. Somewhat ironic spitting venom about a hatred massacre. Raise the bar for discussion on news tv. Less gotcha moments and more real debate of issues. How many spins does it take to recoil a ball of wool? I have no problem with what he did whatsoever. It was good to see someone on breakfast TV not smile and nod along her with her crud. He didn’t go hard enough. So wouldn’t it be nice if he had made a statement like this on Sunrise to his loyal viewers instead of on a radio program? I am very upset with such a tragedy that happened last week has been turned around into a political bun fight. I offered an interview earlier mid week too.